Danspace Project's public opening for Dancing Platform Praying Grounds: Blackness, Churches, and Downtown Dance (Platform 2018) will take place in the historic Great Hall at The Cooper Union, the same auditorium where Abraham Lincoln made his famous speech against the expansion of slavery. On this occasion Danspace celebrates the release of its 12th Platform catalogue with words, movement, and song featuring Platform 2018 curator, choreographer Reggie Wilson, and other participants. 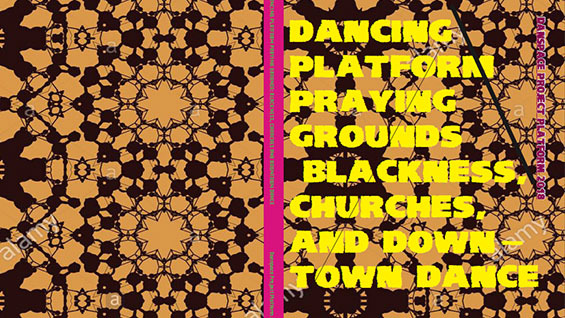 In the accompanying catalogue for Platform 2018, historical research, personal testimony, original artwork, interviews, and historic photographs uncover the intersecting ways places of worship have shaped religious, African Diasporic, and postmodern dance practices over past centuries. Contributors include Lauren Bakst, Lydia Bell, Thomas F. DeFrantz, Stephen Facey, Keely Garfield, Judy Hussie-Taylor, Darrell Jones, Prathibha Kanakamedala, Kelly Kivland, Cynthia Oliver, Susan Osberg, Carl Paris, Same As Sister (Hilary Brown and Briana Brown-Tipley), Radhika Subramaniam, Kamau Ware, Ni’Ja Whitson, Tara Aisha Willis, and Reggie Wilson. Now in its fourth decade, Danspace Project has supported a vital community of contemporary dance artists in an environment unlike any other in the United States. Located in the historic St. Mark’s Church in-the-Bowery, Danspace shares its facility with the Church, The Poetry Project, and New York Theatre Ballet. The event, which is co-presented by Danspace Project and The Cooper Union, is free and open to the public. General public should reserve a space here. Please note first come, first seated; an RSVP does not guarantee admission as we generally overbook to ensure a full house.